The positive-It takes good clear pics. Quick to take photo after pressing button for a small camera. One mode which I thought was a sports mode takes 5 pictures at a time. The only thing is the pics are assorted regular, black/white, and zoomed at different levels. I haven't figured out if I like that feature or not.The negitive-I was able to hook up to wifi but could not link it to my laptop. I thought it was me but my brother in-law who is an I.T. guy could not get it to link either. It has a cover (cheap) with a slot for a wire ( not included). I take the sd card out to put my pics into computer because cover seems like it will break if used to often.I am keeping because it fits in pocket and takes nice pics. 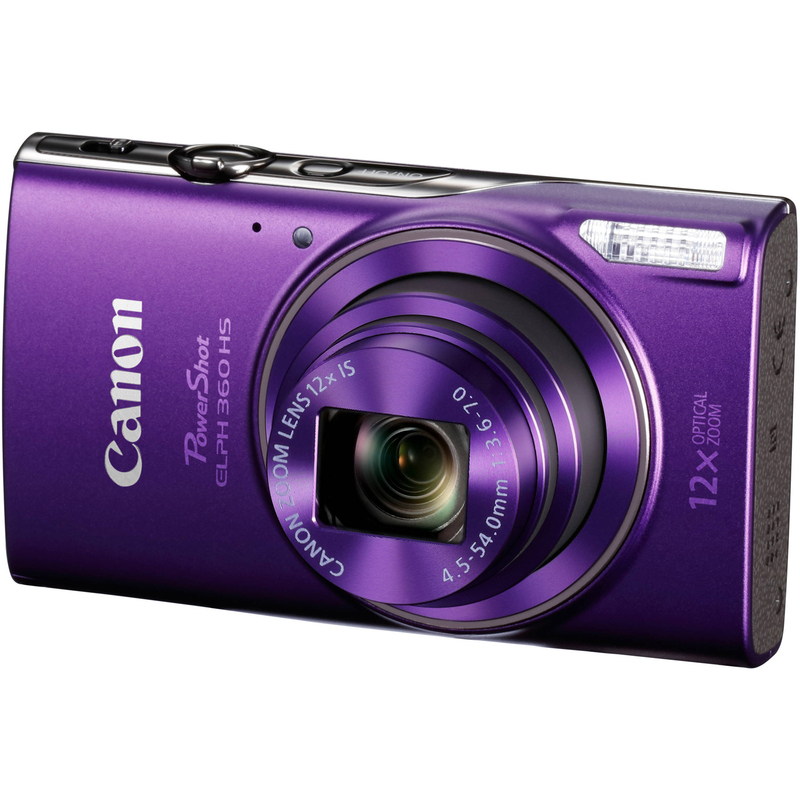 Tbook.com crawls the web to find the best prices and availability on zz and related Camera & Photo products like Canon PowerShot ELPH 360 HS Digital Camera (Silver). For this page, related items include products we find that match the following keywords: "Digital Camera" at our vendor partner Walmart. Canon PowerShot ELPH 360 HS Digital Camera (Silver) is one of 10 zz and related products listed in the Camera & Photo section of Tbook.com If you have any questions on this product, please give us a call at 734-971-1210 during the hours of 9am - 5pm EST for assistance. Thank you for shopping at Tbook.com, the Internet Department Store!